Michelle Lin is a junior at North Cobb’s Magnet program, who is joining The Chant as a photographer. She joined newspaper hoping to continue doing what she loves: writing. “I think joining The Chant is going to be one of the best decisions I make because it’s really going to help improve my writing skills and prepare me for the future,” Lin said. Being in magnet has been a lot of work for her but she enjoys the challenges and is grateful to be able to experience her high school memories with her friends. Lin wants to graduate high school and attend her dream school, NYU, to pursue a career as a writer there. In her free time, she loves to lay in bed all day and binge watch shows on Netflix. When she is not watching Netflix, she’s either listening to music or watching sports news. 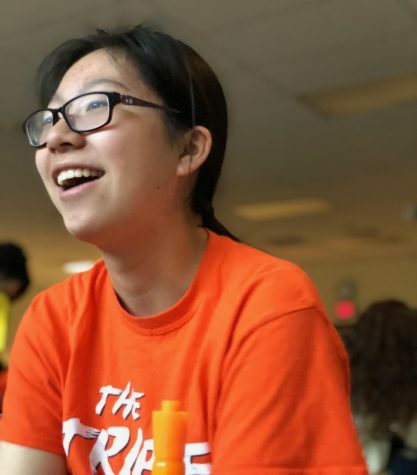 Lin, now as a member of The Chant, is looking forward to writing articles leaning more towards the Entertainment category like music and TV show reviews, as well as news about North Cobb’s sports teams. She is very excited for the upcoming year and is planning on attending more school activities and clubs in the future.